Emmanuel Macron is the youngest president in the French history; the 40 year old is known for his bold attitude and initiatives towards the well being of the planet, he is the man behind the words, “Make this planet great again” and continuous efforts in combating climate change. 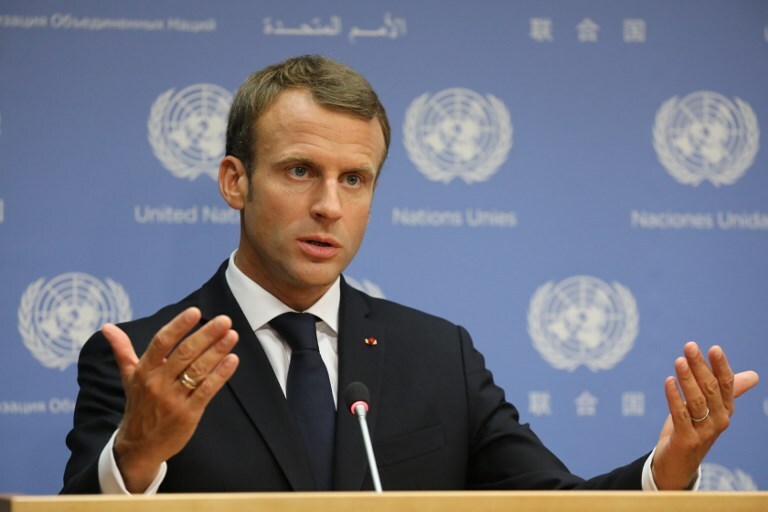 Macron talks about world peace and is highly appreciated in the United Nations making him one of the most powerful leaders in the world. He holds a reputation among the likes of Vladimir Putin, Donald Trump, Narendra Modi, etc and is not afraid to present his views in front of the world. Recently, Donald Trump called himself a ‘nationalist’, i.e. Trump has an extreme form of patriotism marked by a feeling of superiority over other countries. And the US President from time to time has shown this by pulling out of the Paris climate deal, Iran nuclear deal, and a U.N. program for refugees. France on the other hand has been a part of the above three accords and championed them, Macron suggests that global order are based on liberal values. On November 11, French President Emmanuel Macron marked the 100th anniversary of the end of World War I. It was attended by Vladimir Putin, Angela Merkel, Benjamin Netanyahu, Justin Trudeau Donald Trump, and other major leader of the countries that took part in the Great War. "Some have chosen the law of the most powerful, but it cannot protect any people," he added. The French president also pointed out on climate change and migration as global issues that no one can tackle on their own. He also backed the Iran nuclear deal and urged dialogue with Tehran, again clashing with the US president who had earlier called on world governments to isolate Iran. “There is no Planet B. US must play a key role in safeguarding the free world. The United States is the one who invented this multilateralism. You are the one now who has to help preserve and reinvent it" he further added that, "I believe facing all these challenges, all these fears, all this anger, our duty and our destiny is to work together and to build this new, strong multilateralism." Emmanuel Macron has been the flag bearer of International peace and his efforts to fight the problems of the world are commendable. The collective involvement of all the world leaders will hold answer to all the problems that exists.